Want to use your Garmin handheld GPS or marine chartplotter on the coastal waters around the UK, Europe or North America (USA and Canada)? With a compatible Garmin device and a Garmin BlueChart you can. Buy accessories for your Garmin Marine product. 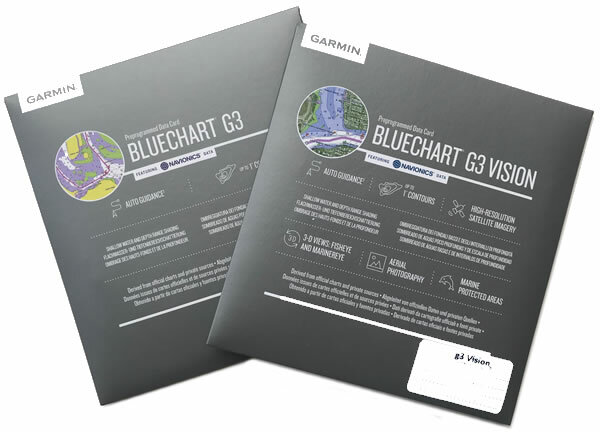 Get the latest BlueChart after 12-months of purchasing for FREE. Buying a Transducer for your Garmin? Complete our Transducers buyer's form and we will reply explaining the most suitable Transducer for your Chartplotter. Marine Update Card is available to update the software and Charts on your Chartplotter.